In a recent conversation, it was heard that IDBI Life should not be in the running events if they cannot do good events. This was in respect to some of the quality deviations that happened at Kolkata. In an earlier era, I had heard such conversations about Standard Chartered Bank sticking to its banking business and not getting into running. We do a post event quality survey for most of the events that we work with. This is part of our effort to bring feedback from the runners to the event organisers and hopefully take that feedback and learnings and improve the quality of the events that are on our platform each year. We believe that this will deliver better value to the runners in the long run. 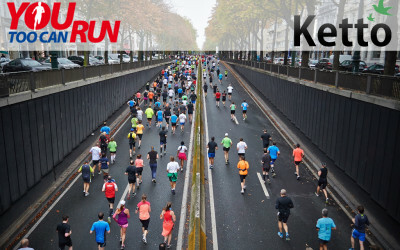 Even in the feedback that runners give us in theses surveys, it becomes clear that runners often do not know the roles the various parties play in putting an event together and why goof ups happen and why quality deviation norms occur in running events. Equally funny is that very often YouTooCanRun is praised for doing a lot of events or accused of not delivering proper quality in certain events. 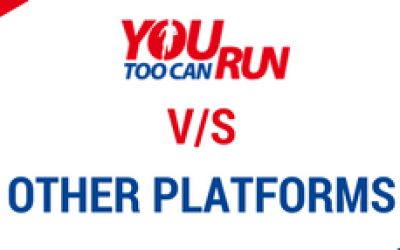 Runners do not realise that YouTooCanRun is a registration and a back office platform and does not own and control the entire quality of the event. So, in the first post, we will deal with the role and responsibilities of the players who work in the backend to put an event together. The Event Organiser, often also called the promoter, is the key person who puts the entire running event together. He conceives of the event, he designs the event and he takes the financial risk of the event. The conception of the event includes things such as: should it be an ultra, should it be a half, should it be a full, should it be in the city, should it be in the morning, should it be in the night. The design often includes the elements such as; the route, the size of the event, the players who will be associated with the event etc. Being the owner of the event, he puts his own money and if there is a surplus at the end of the event, he takes it home, or if there is no surplus he bears the loss. The Event Organiser is thus the kingpin who determines the final outcome of the event and the runners experience from that event. Though there are many variants of sponsorships, the title sponsor is important because he puts in the largest amount of money to give the title of the event in his name. So in the Mumbai Marathon, the Event Organiser is Procam while the title sponsor is Standard Chartered. In the Kolkata Marathon the title sponsor is IDBI Life, in the TCS New York Marathon the title sponsor is TCS. This doesn’t mean that TCS organises the marathon or Standard Chartered does the Mumbai Marathon. They have given a large amount of money to get the title sponsorship so that their name is mentioned as part of the event name in all their event branding. The title sponsor, of course, has a responsibility to see that the event is well conducted because if there is a quality deviation then it is the branding of the title sponsor that takes a hit. But often, the title sponsor may not want to take any operational control of the event. To what depth of engagement in the execution of the event the title sponsor should be involved in is a matter of debate. 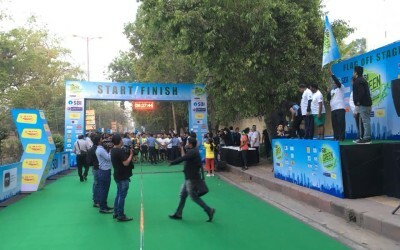 but we feel that in India the title sponsors should get involved a little bit more to ensure the quality of the event, especially when running is in a nascent stage. Is It Allowed To Personally Pace A Friend At An Event?